John Elroy Sanford was born on the 9th of December 1922. He got the name Redd early on due to a red cast to his hair, and later took the name Foxx from Baseball star Jamie Foxx. Serving his time in clubs as a stand-up comedian, he was one of the few black comics to get to perform on the Strip in Las Vegas. 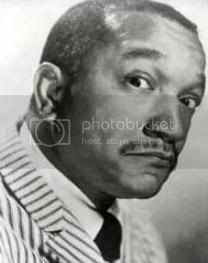 Redd came to television late in his career with an appearance on the Tonight Show leading to his role the 1970’s series “Sanford & Son.” The premise coming from an English comedy series “Steptoe and Son” with the name Fred Sanford used, this being the name of Redd’s brother. Being given more control over the show there followed clashes with producers and battles for higher pay. When Redd walked out on the show the producers slapped an injunction on him to halt him from working anywhere else. With little option Redd returned to the set but was soon ready to quit once again and the show was cancelled after six seasons. Redd went on to do a variety show which was short-lived and after numerous guest appearances on other variety shows, he was back in 1980 with a spin off series called “Sanford” minus the son, but viewers didn’t take to this as they had the original series. With a penchant for gambling, alcohol, women (being married four times) and drugs, such a lifestyle came at a price. It was an expense beyond Redd’s means and with a non-payment of taxes he was soon forced to declare bankruptcy. 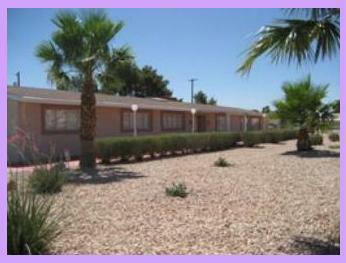 In 1989 the IRS seized what assets it could, including his home, a one storey house named Redd Foxx Mansion on Eastern Avenue and Rawhide Street in Las Vegas. In 1991 Redd looked like he was making a comeback, though he bemoaned that everything he earned went to pay off his huge tax debt. A new series, 'The Royal Family' began to air with respectable viewing figures. It was during rehearsals on the 11th of October 1991 that Redd had a heart attack. 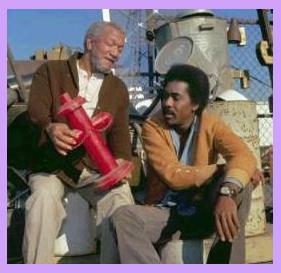 Thinking he was larking around, pretending as his character Fred Sanford had done so often, his antics were laughed at. Though the massive heart attack may have been beyond anyone’s help, it left cast and crew members slow to come to his aid and he died there on the set. Redd may have been evicted from his home in life but no one was going to stop him in death. He is now said to reside at his old home and with his sense of humour lets people know he is there. It began with a sliding door that would open all by itself which occupants had replaced with a traditional wood opening door, though this did not resolve the problem and the door still opens of its own accord. 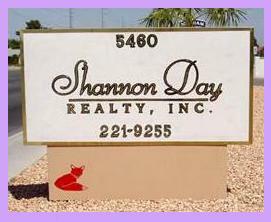 The house is now occupied as office space by a real estate company, Shannon Day Realty who have placed a small red fox below their sign in honour of Redd, though it hasn’t stopped his antics. Apart from the opening of the door, computers turn themselves on and off and often things go missing. EVP's were captured and a mist was caught on camera along with the usual orb phenomena during a visit by a paranormal group spending a vigil at the premises. [Thank you to Susan who posted this on the Guest Book] My husband and friends recently visited Redd Foxx's home in Vegas. He took several pics of Redd Foxx name spelled out in pebbles......but when we viewed the pics every other pic showed his name upside down. I witnessed my husband take the pics with his camera phone and can honestly say there weren't any apps he used to snap the pic upside down.